WRML.2015-04-23. Wormfax. High Haemonchus counts. Targeted treatment.Snapshot-lamb industry+DPI input.WA threatens secession. Notes: E=EMAI=Elizabeth Macarthur Agric. Institute (Menangle). V=VHR=Veterinary Health Research (Armidale). LLS=Local Land Services. LHPA=the former Livestock Health and Pest Authorities (now part of LLS). Haem=Haemonchus (barber’s pole worm). Trich=Trichostrongylus (black scour worms). Tel=Teladorsagia (small brown stomach worm. Larval differentiation results for Tel. not included: they were found in just a couple of cases and at 1-2%). There was a smattering of positive Fasciola (liver fluke) egg counts, mostly through tablelands districts. Bear in mind that, for most ‘flukey’ farms in NSW, April-May is the single most important time for a strategic fluke drench. A standout in the results for March was some high Haemonchus egg counts in various parts of the state. There was very good rain in many parts of NSW in December and January, before returning to the trend of below average rain in February and March. It would appear the good early to mid-summer rain was enough to kick Haemonchus along. But again the perennial question: how many got caught because they do not do regular WormTesting, and how often was a worm problem exacerbated because drench efficacy is so often left unchecked? Note the high count (mean of 4448) from the South Coast LLS where the larval culture was dominated by Trichostrongylus. Sometimes Trichostrongylus can produce reasonably high WECs; not high by Haemonchus standards (but, WECs in that WormTest did range up to 18400! ), but reasonably high nonetheless. Young and older players have been caught by this before: a high-ish WEC and have eschewed a larval culture, assuming Haemonchus to be the cause, and have opted for a narrow spectrum drug like closantel. Notes: BZ=benzimidazole, ‘white’. LEV=levamisole, ‘clear.’ MPL=monepantel (‘Zolvix’, an ‘AAD’. No resistance detected).The macrocyclic lactone (ML, ‘mectin’) drenches are: IVM=ivermectin, ABA=abamectin, MOX=moxidectin. BZ/LEV etc. are combination drenches. CLOS=closantel. *Less than 50 usable drench tests for this drench. ‘Resistance’ here means the worm egg count reduction after treatment was <95% for one or more of Haemonchus, Trichostrongylus or Teladorsagia species. Reference: Playford MC, Smith AN, Love S, Besier RB, Kluver P and Bailey JN, 2014. Prevalence and severity of anthelmintic resistance in ovine gastrointestinal nematodes in Australia (2009-2012). Aust Vet J 2014; 92: 64-71. Consider the graph and the case study: ‘good reason to do regular WormTesting and DrenchChecks, don’t you think? Past: Bill O’Halloran, David Hall, Brent Mcleod, Barry McDonald, Chris Shands, Peter Holst, Geoff Duddy, Neal Fogarty, Andy Kajons, Alan Luff, Dave Harris. Doing research in support of the resurrection of the lamb industry, there was Arthur Gilmour in particular and also Kevin Atkins, who did early work on developing Lambplan. Current: David Hopkins, Ashley White. This is by no means a complete list of players, but some of those with whom DPI worked closely in this area were Arthur Gates, Laurie Thatcher, Ron Harris, David Kingham, Ian Johnsson, Gerald Martin, Rob Banks, various NSW lamb processors and producer groups. WRML.2015-04-14. Partial flock treatment in summer rainfall areas (AUS)? Devil in the detail. New tech. Hopefully most of you receive ParaBoss news and read it. If not, you miss out on goodies like the article below by Lewis Kahn. You can subscribe at the WormBoss or ParaBoss websites. For further information on topics raised in Lewis Kahn’s article, go to WormBoss.com.au: things are easy to find there. Many sheep producers have heard of partial flock treatment (targeted treatment), which is the concept of leaving a proportion of a mob of sheep untreated as a means to slow the development of drench resistance. 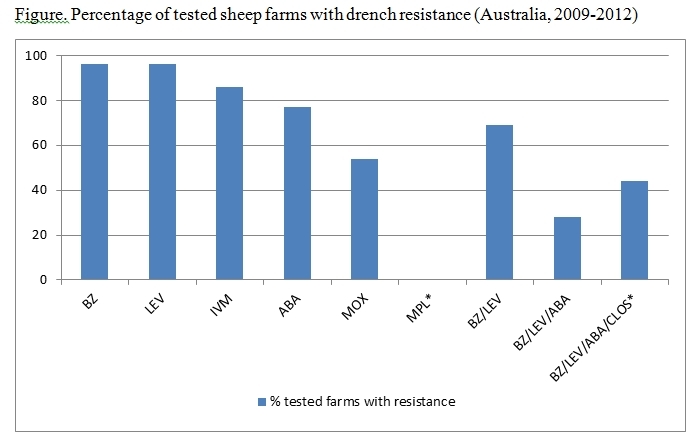 Why this is of interest requires some thought about how drench resistance develops. Where drenches are not fully effective, the eggs passed in dung are all from worms that survived treatment. That is, they are the eggs of the drench-resistant worms that remain in the sheep. Even with new treatment actives, drench resistance might already exist, just by chance, in a tiny proportion of the worm population. So even then, the very few eggs—often way too low in number to detect in laboratories—that are passed in dung after treatment are likely to be those from drench-resistant worms. So, drenching is a process of selection that sees a gradual increase in the proportion of drench-resistant worms, and subsequently, drench efficacy falls. Of concern is that by the time a DrenchTest indicates 95% drench efficacy (that is, when worm egg count is reduced by 95%), the genes in that worm population that code for susceptibility to a particular drench active have already declined to 75%; with 25% now being for drench resistance. To slow the development of drench resistance, WormBoss recommends quarantine treatments and 5 important actions when using drenches. Use drenches most effective on your property. Ideally use those that are at least 98% effective, as shown by a DrenchTest. This is especially important for strategicsummer drenches in winter rainfall (including Mediterranean) regions. Use a combinationof two or more drench groups. Use short-acting treatments, only using persistent productsfor specific purposes and high worm-risk times of year. Rotate among all effective drench groups each time a mob is drenched (and for each paddock). Calibrate drench guns to ensure the correct dose is delivered, which is calculated on the heaviest animals in the mob. Split mobs for drenching if there is a large weight range. An important risk factor for development of drench resistance is the number of worm larvae on pasture when the sheep are drenched. These larvae are often referred to as being in refugia because they are in refuge from (not exposed to) the drench. Where partial flock treatment (also called targeted treatment) is used, that is, leaving a proportion of a mob undrenched, the worms in undrenched sheep are also in refugia, as they also have not been exposed to the drench. As the worms in these sheep have not been selected for resistance—the level of both susceptible and resistant worms they had before their flock-mates were drenched are still present—the eggs that pass in the dung from these undrenched sheep can help to offset the predominance of eggs from drench-resistant worms in the drenched sheep. When a pasture has a relatively low level of worm larvae and the drenched sheep are grazed there, the pasture will become increasingly contaminated with eggs from resistant worms, as they are the only ones that survived the drench. This is likely to increase the proportion of drench-resistant larvae that subsequently develop on the pasture and go on to infect sheep, resulting in a more rapid increase in drench resistance. In contrast, when the number of worm larvae on the pasture is high, eggs shed in dung from resistant worms will make up a small proportion of the population, with a slower increase in drench resistance. So, strategies to maintain worms in refugia inside the sheep are likely most important where the environment and management practices result in periods where the number of worm larvae in refugia on pasture fall to very low levels. This might typically include the Mediterranean region during its hot, dry summers, but also, to some extent, the summer rainfall tablelands region of NSW after its long, cold winter. In the WormBoss regional program for Western Australia, adult ewes are drenched in autumn instead of summer to avoid drenching when there are few or no larvae in refugia on the pasture. The concern for using partial flock treatment in any region has been loss of production. This has been shown to be negligible for Merino ewes in Western Australia and for cross-bred ewes in winter rainfall regions of Australia. However, where barber’s pole worm is common, the concern is sheep deaths, rather than body weight or fleece weight loss. In summer rainfall tableland and slopes regions, the most effective time to leave a proportion of adult ewes undrenched so as to maintain worms in refugia is during spring, after the long and cold winter. During winter, barber’s pole worm is unable to develop from egg to infective larvae, so the number of larvae on pasture at the beginning of spring is low. However, lambing is often in spring, and lambing ewes suffer a decline of their natural immunity to worm infection. This alone could be a deterrent regarding leaving some sheep undrenched. Nevertheless, the concept of partial flock treatment needs to be seriously considered because of the prevalence and severity of drench resistance in the region. Meat and Livestock Australia are currently funding the Lifting the Limits project that is determining the production cost of worms in cross-bred flocks and identifying best practice worm control. This involves 17 farms from the northern tablelands of NSW through to Victoria, with similar flock experiments in Western Australia. In the northern tablelands of NSW, this project provided the opportunity to see if ewe body condition score can be used to select the most suitable cross-bred ewes to leave undrenched as part of a partial flock treatment. Body condition score was used as a possible trait because it is a subjective measure of whole body muscle mass that is known to benefit the sheep’s resistance to worms. The large dataset* collected from twin-bearing Border Leicester x Merino ewes during the three years of the Lifting the Limits experiment showed that worm egg count (WEC) was favourably associated with body condition score (BCS). In other words, at any point in time from pre-lambing to weaning, fatter ewes (higher BCS) were more likely to have a lower worm egg count. On this basis, the fatter ewes seemed to be the best ewes not to drench, so as to maintain a proportion of the worm population in refugia to slow development of drench resistance. 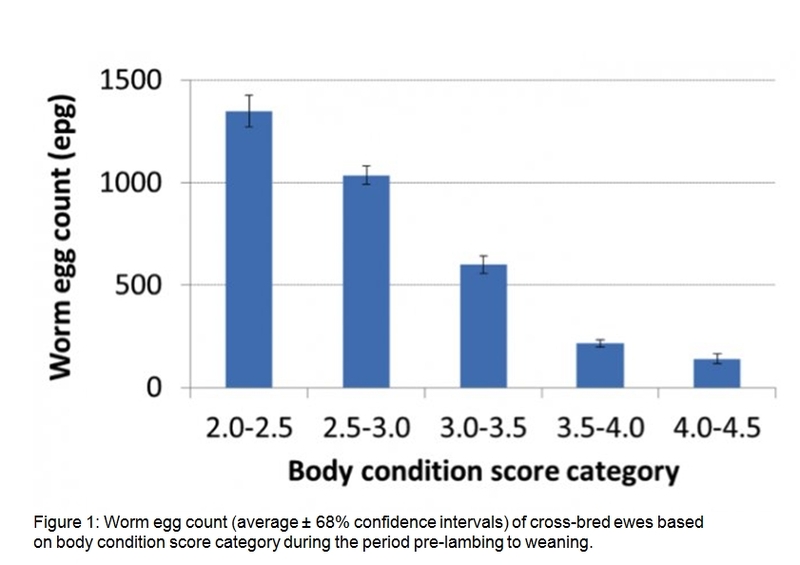 Figure 1: Worm egg count (average ± 68% confidence intervals) of cross-bred ewes based on body condition score category during the period pre-lambing to weaning. But the real question remained, would those ewes with higher pre-lambing body condition scores continue to have lower WEC up until weaning? The results in the figure above indicated that higher BCS ewes had a lower WEC at any point in time, but they did not indicate what the future held for these ewes. Unfortunately, pre-lambing BCS was not predictive of subsequent WEC at marking or at weaning and this means it is unlikely to be a useful tool for identifying the pre-lambing ewes that can safely be left undrenched. The reason why body condition score (BCS) did not indicate future WEC was because those ewes in the highest BCS just prior to lambing lost the most condition over the lactation period. These ewes likely transferred body condition to milk and more successfully reared twin lambs. The downside for these ewes was that loss of BCS at this time was associated with an increase in WEC. In summary, the results indicate that ewes in better body condition score prior to lambing are likely to have lower worm egg counts initially, but do not maintain a lower WEC because they lose more condition. At this stage, the safe use of partial flock treatment in summer rainfall tableland and slopes regions doesn’t seem possible. This is because of the risk of deaths from barber’s pole worm and the absence of a trait that can readily be measured or assessed to allow real-time and within-yard decision-making on which animals could remain untreated. These are only early thoughts and WormBoss will continue to keep a close eye on this topic. *The data collected were from 120 Border Leicester x Merino ewes on each of 3, 5 and 5 properties during the years 2012, 2013, 2104 respectively in the Armidale region, New South Wales. Body condition score (BCS; 1–5 scale) was estimated and faeces collected to determine worm egg counts (WEC). Adult ewes were identified as twin-bearing. Lambing occurred in September of each year. Measurements were done at pregnancy scanning (July), prelambing (August), lamb marking (November), weaning (January) and mating (April). Prelambing, lamb marking and weaning data were used for this analysis. There were 3,989 observations with both BCS and WEC recorded. When scientists do and report research, they sometimes make mistakes, and they may draw dubious conclusions. We’re all human. Humans are the weak link in the scientific process. Then science gets reported in the media. Some science reporters are doubtless very good at critically reading published scientific papers. Others, not so much. Time-strapped reporters and readers may just rely on the abstract and the authors’ conclusions. But, the devil may be in the detail. “Eating a high-protein, low-carb diet could actually make you unhealthy and more likely to die younger, a landmark Australian study has found”. The article continued: “The three-year study by the University of Sydney’s Charles Perkins Centre found that while high-protein diets might make you slimmer and feel more attractive, the best diet for longevity is one low in protein and high in carbohydrates”. So, a landmark study from experts from a prestigious institute. Watertight, eh? I decided to check further. I couldn’t get access to the journal (Cell Metabolism) in which the paper was published, but I found this colourful critique at ‘Hyperlipid’ (URL below), written by British veterinarian, Petro Dobromylskyj. (OK, he is a British veterinarian, but don’t hold that against him: the bit about being British I mean). ‘Although the mice on a high-protein diet ate less and were slimmer, they also had a reduced lifespan and poor heart and overall health. Those on a high-carbohydrate, low-protein diet ate more and got fat, but lived longest. The mice that ate a high-fat, low-protein diet died quickest’. Executive summary: Fat = death. “Diets varied in content of P (casein and methionine), C (sucrose, wheat starch and dextrinized cornstarch) and F (soya bean oil)”. The only fat used was soya bean oil. Can I emphasise again, as many times before: DO NOT CONSUME BULK CALORIES AS PUFA (polyunsaturated fatty acids), ESPECIALLY OMEGA-6 PUFA. My point in discussing this example is not to say who is right, but rather to illustrate that there may be more than one interpretation, scientists and journalists are human too and don’t always get it right, and the devil may be in the detail. By the way I don’t know what ‘wallanga’ means. There are Australian placenames that sound almost like that. Either way, I don’t think it is complimentary. ‘Diarrhoea is inherited – it runs through your jeans’. So, who are the DVs? New data world order – Australians an open book? Ninety seven annual conferences? That is pretty impressive. How many organisations do you know of that have had annual conferences for almost a century? So, a big tick for quantity and longevity, what about quality? Well, one private veterinary practitioner I spoke to at the recent conference said she felt privileged to be able to come to DVs’ Conferences because of the technical content provided by DVs and others, including updates on work being done by The Elizabeth Macarthur Agricultural Institute (EMAI) and other parts of NSW DPI. So, a big tick for quality as well. Of course I had to mention there was a paper on worms of livestock. This is WormMail after all. I understand that not everyone knows what a DV is. When I hear ‘DV’, I think ‘Deo volente’ (God willing), or District Veterinarian, or maybe deep vein (thrombosis). For those who came in late, DVs and the organisation(s) to which they have belonged had their genesis in the successful NSW sheep scab eradication campaign of the 19th century. (Yes, the UK and others still have sheep scab (psoroptic mange)). Out of that came Pastures Protection Boards of NSW which after a century or so became, in relatively rapid succession, Rural Lands Protection Boards, and then Livestock Health and Pest Authorities. More recently LHPAs were merged with relative newcomers, the Catchment Management Authorities of NSW, to form Local Land Services. A significant slice of the revenue continues to come from rates levied on local landholders. DVs were once known as ‘Veterinary Inspectors’ (for almost 10 years, I was one of those) and before that, ‘Inspectors of Stock’. Here is a picture of delegates to the First Annual Conference of Inspectors of Stock of NSW in 1918. Nothing much has changed really. An excerpt: “A spokesperson for the Agriculture Minister said the decision was part of the Federal Finance Minister’s smaller government reforms, designed to reduce duplicity and waste. The government has cut 251 government bodies since the last election”. Duplicity? Perhaps they mean duplication? My particular interest is the ANZDSPs (Australia-New Zealand Diagnostic Standard Procedures), not least the one on nematode parasites, Gareth Hutchinson’s update of the previous version by Maxine Lyndal-Murphy, who in turn updated C.A. Hall’s originals. If you have an interest in nematode parasites, I suggest you download your own copy of Gareth’s document. It’s a good resource. An update could be some time coming. This from the RRP: “This short online survey will only take about three (3) minutes to complete and we want it to go out far and wide across NSW farming networks. By answering the three (3) questions farmers, farm workers and their families will help us to build a clearer up-to-date picture of how drought-affected farming communities have coped personally as well as in their farm businesses. (It’s 1st April after all).